We’ve reached our goal! Help us go even farther! We’re incredibly grateful for the outpouring of support to bring back our Boise State Observatory. In less than two weeks, we’ve reached our initial goal, but there’s still more to be done. In order to make our Observatory an even better public resource, we’d like to ask your help to meet a stretch goal of $2,000. This money will pay for wireless internet access at our observatory, giving access to our visitors to astronomical data, images, and more, significantly enhancing public events and instruction. If you’ve already donated to our project please continue to share it, and if not, please consider supporting us – even a little donation helps make big things happen! From the Discovery Center of Idaho to the Idaho Shakespeare Festival to Micron Technologies, the City of Trees hosts a dazzling array of scientific, cultural, and commercial venues. An integral thread in that municipal tapestry, Boise State University provides a home for academic, scientific, and artistic pursuits where we advance the frontiers of human knowledge and imagination. Now, we’re asking your help to push that advance to the edge of the Universe and bring back Boise State’s Observatory. Since 1977, Boise State has hosted an observatory on top of the Education and Science Buildings, just across the Boise River from Julia Davis Park. For many years, the observatory was a hub for teaching and student research. In addition, the student Physics and Astronomy Club hosted wildly popular public viewing events, with enthusiastic astrophiles lining up for hours for a glimpse of the Moon’s impact craters, Jupiter’s volcanic moon, or Saturn’s exquisite rings. Over the years, logistical and financial support waned, and a series of thefts resulted in the loss of a telescope and other equipment. And the observatory has sat empty, but otherwise in good repair, ever since. Recently, though, enthusiasm for refurbishing the observatory among Boise State’s students and the broader community has begun to grow. Funds for repair have been made available, and security has been beefed up. We have a 16-inch telescope, refurbished by Boise State students and ready to go. In addition, Boise State recently hired Dr. Brian Jackson, a research astronomer from NASA’s Goddard Space Flight Center near Washington DC, to lead the effort to revitalize the observatory. So it’s time to bring back the Boise State Observatory. But we need a new mount on which to install the telescope into the observatory, software to control the mount, and a variety of other things, including a focuser motor, counterweights, and control computer. The combination of hardware and software we’ve planned for will allow the telescope to be controlled either locally or remotely over the internet. In addition, we’d like to install a live internet connection and purchase webcams that can be connected to the telescope, allowing us to stream the telescope’s view live to the world. So not only will we host public events open to the local community, our observatory will be open to the world. Here’s where you come in. We want the Boise State Observatory to be a community resource for public outreach, education, and even amateur astrophotography. To make that happen, we’re asking for public donations. To reward your generosity, we are offering a variety of gifts from VIP access to a lunar eclipse event to a private star-gazing party with Dr. Jackson. A donor contributing $5,000 will be invited to name the telescope! We have a preliminary list of hardware and software for purchase, but the exact purchases are subject to change. Any funds leftover will support future public events at the observatory and the Boise State Physics and Astronomy student club. So help Boise State University reach for the stars and advance its mission of public service and education. 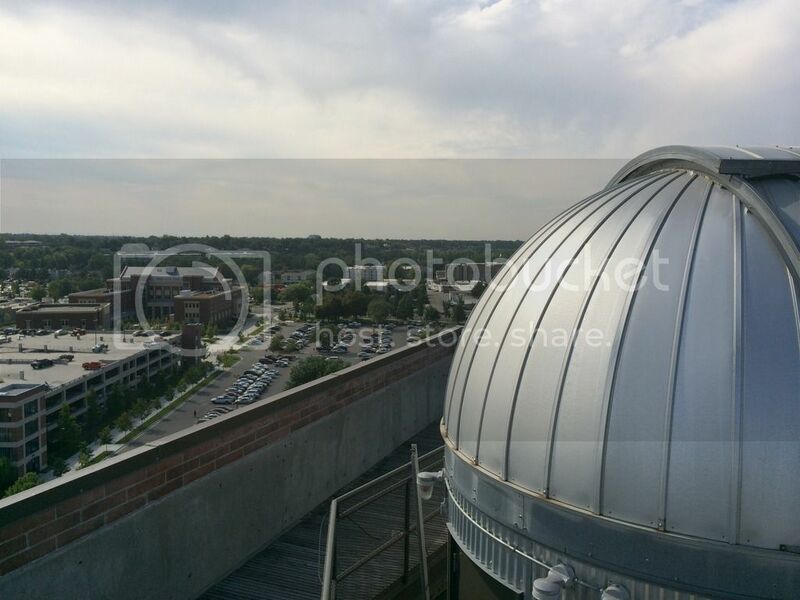 Help us bring back the Boise State Observatory. Click here to see the original news. 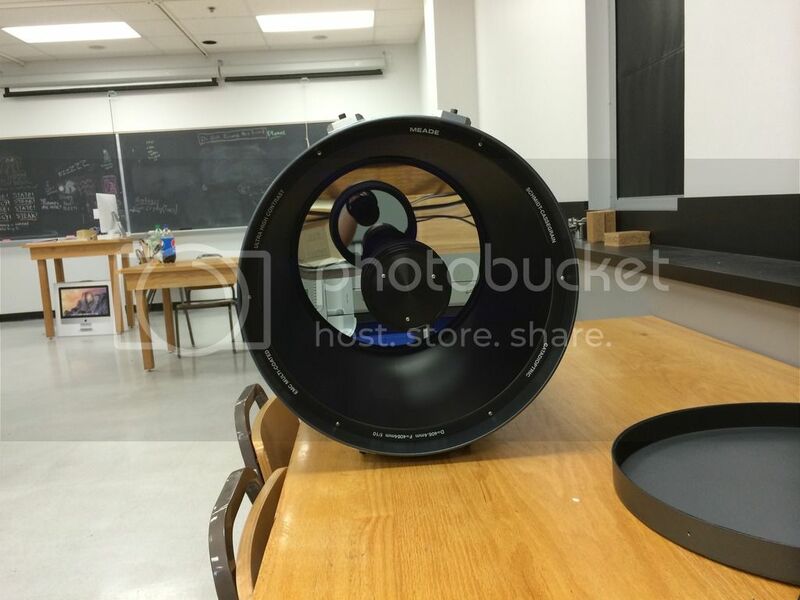 PonyUp campaign donors met with Dr. Brian Jackson to see a mock-up of the telescope and its new mount, and to discuss future plans for the Physics Observatory. Boise State University Distinguished Professor of Physics Alex Punnoose has been selected as the recipient of the 2012 Jean’ne M. Shreeve NSF EPSCoR Research Excellence Award. The award was established to recognize the accomplishments of a faculty member at Boise State University, Idaho State University, the University of Idaho or other state institution of higher education who has previously been an active participant in the NSF EPSCoR program. This is the second time the award has been made; Jean’ne M. Shreeve was the first recipient in 2011. The award, which includes a plaque and $5,000, was presented at a lunch during the Idaho EPSCoR annual meeting at the Grove Hotel on Oct. 3. Punnoose’s major areas of research focus on nanotechnology and include nanoparticle-based cancer and antibacterial therapies, spintronics, nanotoxicology and nanosensors. Beyond his own department, he has served on graduate thesis committees and won joint research grants with faculty across disciplines. He also has been involved in curriculum development and more in four graduate programs on campus. He is the recipient of the 2007 Foundation Scholar Award for Research. Punnoose received his Ph.D. and M.S. in physics from Aligarh University, India, and his B.S. in physics from the Mahatma Gandhi University, India.